A local man who was walking his dog pointed him to a site in the distance where, the man said, he would find “Jewish graves.” When Bulka got to the site, his heart nearly stopped. The “graves” were pieces of Jewish gravestones that had been used as stones to build the wall around the town’s Christian cemetery. Bulka, a religious man, was furious. “It was a disgrace,” he says. 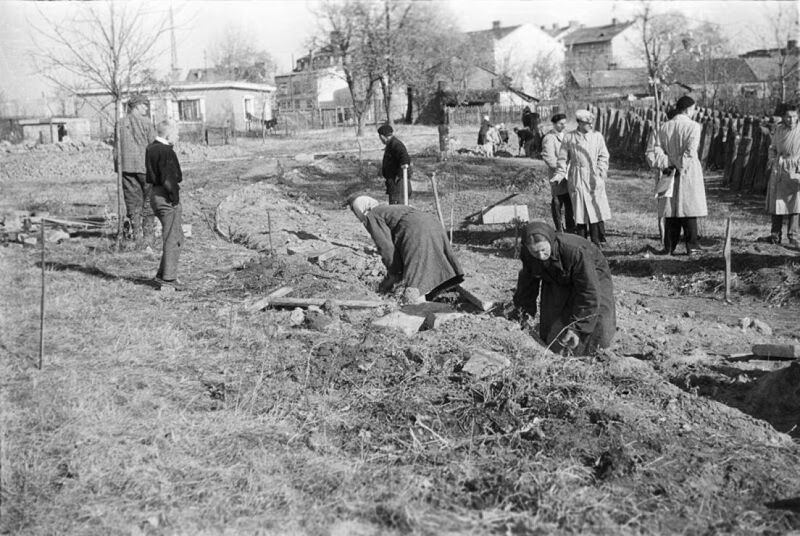 Upon returning from his trip, Bulka, 50, a resident of Sha’arei Tikva, began researching the fate of the Jewish graves markers, discovering that they had been uprooted around 1959, when the Communists ruled. 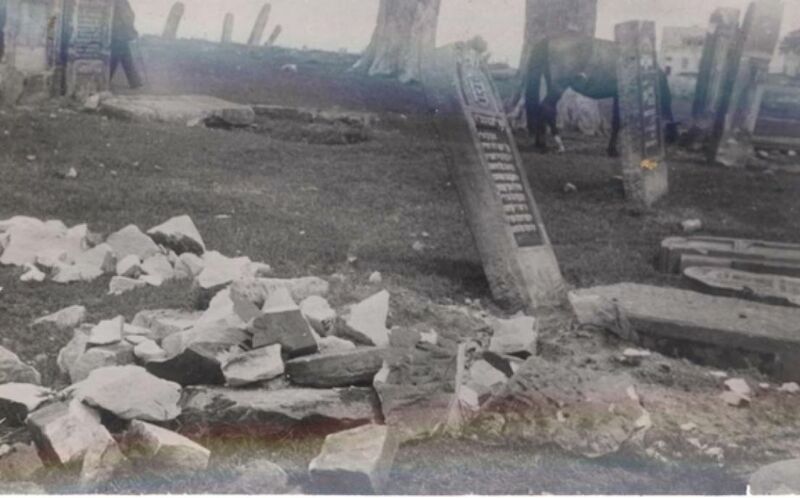 Photos he located with the help of a local blogger document the desecration of the cemetery. Along with photos of the gravestones being uprooted, one can also see that some were incorporated into a playground for local residents. In early 2016, a few months after his first visit to the city, Bulka went back to Ostrowiec to meet the mayor. His first, unequivocal demand was that the gravestones be removed from the wall of the Christian cemetery. “I won’t rest until these markers are safely returned,” he told the mayor. He came to the meeting with a few concrete suggestions. One was to take the misappropriated gravestones and turn them into a memorial, with the help of Israeli teens who would visit the area during their trips to Poland. Another proposal was to send the stones to Israel. After consultations, the mayor agreed to remove the Jewish gravestones from the cemetery wall, on condition that Bulka fund the dismantling of the stones, their transport to another location and the rebuilding of the wall. He demanded half a million zloty, around 460,000 shekels (over $125,000). His frustration grew as all his appeals to organizations, agencies and private individuals who deal with the preservation of Jewish cemeteries refused to help or even answer his inquiries. “Apparently this town isn’t central enough or interesting enough to anyone whose family isn’t buried here,” he says, despairingly. Bulka hopes that now he has a bargaining chip with which to approach the city. “I will propose to the municipality that I will give up these properties if they give up the gravestones, a kind of barter,” he says. Deep down, however, he knows that Eastern European bureaucracy won’t exactly work in his favor and that while his plan looks logical on paper, it probably won’t lead to the “liberation of the gravestones,” as he puts it, in the near term, especially since until now he’s been working on his own. He is now looking for a person or organization with some resources to pursue his fight. “Every day that passes, the blasphemy there continues,” he says. The city of Ostrowiec Swietokrzyski did not respond to Haaretz’s request for a comment.